Looking for a calendar app? 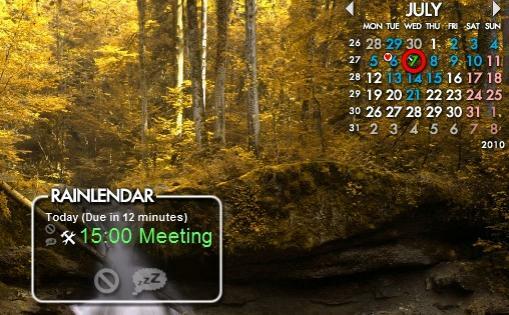 Besides Google Calendar, there’s a good choice for Ubuntu Linux users, called rainlendar, which a highly customizable desktop calendar that keeps your events and tasks and reminds your with alarms. 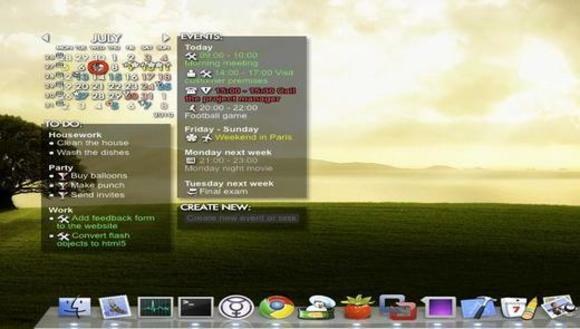 Rainlendar supports events and tasks which both are kept in separate lists. You’ll get notified in advanced before the event is due so that you don’t forget your important events. It is also possible to snooze the alarm if you want to get reminded about it later. All the data is stored in the standard iCalendar format (RFC2445) which means it easy to transfer the events between most calendar applications. Rainlendar comes with a few skins, you can get some from internet. There’s a link in settings page. Ubuntu users need to install the required package tofrodos which is available in Ubuntu Software Center.